Allegations of Domestic Violence are serious. They also often involve more than criminal charges for things like assault and battery, injury to personal property, or even communicating threats. If you were arrested or served a criminal summons, look carefully at your paperwork. 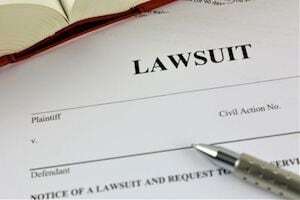 You may also be a named Defendant in a civil lawsuit under N.C.G.S. Chapter 50B. The legal right to be free from double prosecution relates to criminal charges. If a civil matter has already been litigated, the same allegations cannot be tried time and again. Lawyers refer to that as Res Judicata. It basically means the legal issue and associated allegations have already be “adjudicated” or decided. At the same time, the allegations that are made part of a Warrant for Arrest or Criminal Summons may also be alleged in a Civil Lawsuit (Complaint) against you. It’s not against the law to bring both criminal charges and a Civil 50B action at the same time for the same alleged wrongdoing. There are no Fifth Amendment Double Jeopardy protections against that. Frankly, it’s OK if that’s a bit confusing to you. That’s one reason it makes sense to call our office, ask questions, and get information about the specifics of your case. Each case is different. We don’t charge anything for legal consultations and everything you tell us is confidential. We encourage you to take us up on that offer. Don’t go it alone. It helps to have a lawyer standing by your side in court. Both Judges and litigants take such matters seriously. You should too! What’s the Difference Between a No Contact Order and Protective Order? There are different types of restraining orders in North Carolina. The term “domestic violence” means something under the NC criminal laws and civil statutes. It’s likely a bit more expansive and/or inclusive than you might anticipate. You don’t necessarily have to “domicile” with someone. Having a child in common may be enough to qualify for inclusion under the law. That’s different than a No Contact Orders under Chapter 50C. Those restraining orders, by definition, to not involve Acts of Domestic Violence. No “relationship” is required. Civil Orders directing No Contact may apply to friends, mere acquaintances, and even people you may know. The key difference is categorization as domestic violence. 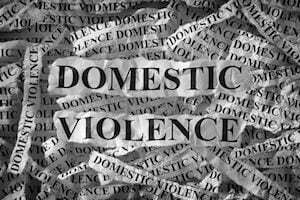 A DVPO – Domestic Violence Protection Order pursuant to N.C.G.S. Chapter 50B is fundamentally different. Given the nature of such matters, there are enhanced protections afforded to people in domestic relationships. Where are Restraining Orders in NC Filed? If under either Chapter 50C or Chapter 50B, restraining orders are filed in Civil Court. They are not criminal charges, although they may be related to pending matters. The official form for a DVPO is called a Complaint and Motion for Domestic Violence Protective Order. And because they are a type of lawsuit, there a certain rules of civil procedure that direct how an action may be commenced. Much like lawsuits involving a contract dispute or personal injury claim, a formal Complaint must be filed. It also requires the issuance of what’s called a Civil Summons and Service of Process. Personal service of the lawsuit is normally accomplished by the Sheriff. If you’ve been served with a Civil Summons for a restraining order talk to a lawyer immediately. That’s especially true if there are also pending criminal charges based on the same allegations. Danny Glover is an experienced OBX lawyer who can help guide you through a somewhat complicated legal process and system of justice.